Little girls all around have aspired to look like Barbie, their childhood idol, and favorite plaything. Truthfully the standards set by Barbie have been considered quite unrealistic when it comes to the proportions of the average woman. 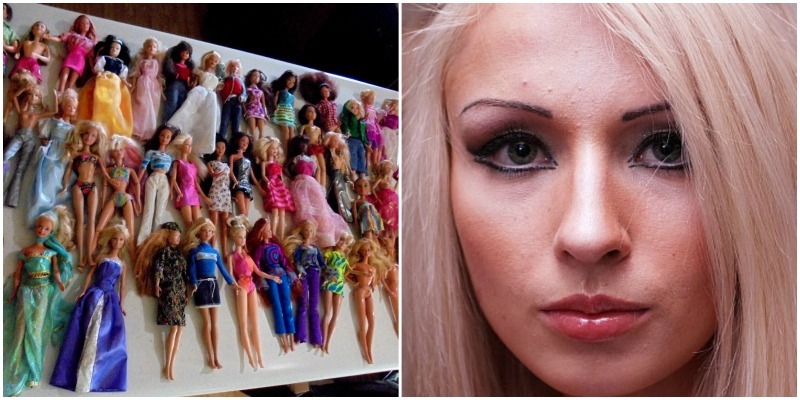 One woman from the Ukraine has defied all these odds, but unlike Barbie, she lives a very different life. 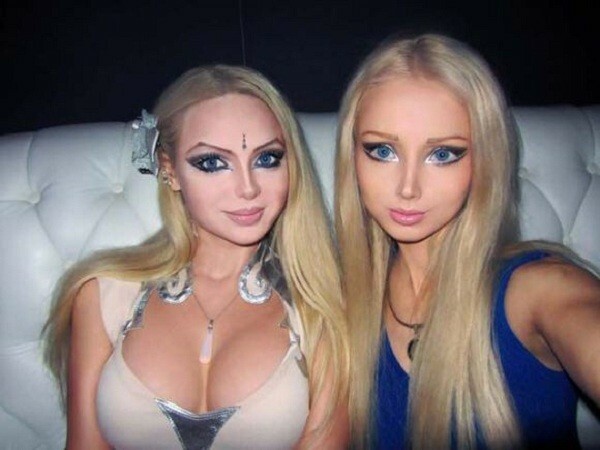 Before Valeria Lukyanova became the living embodiment of a Barbie doll, she was just like every other little girl. She had quite the extensive collection of Barbies with matching wardrobes and all the accessories to match. The only difference is that she never grew out of her fascination with the teeny tiny doll, but instead became entirely obsessed with her physical attributes. 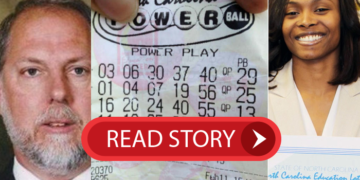 Valeria experienced a fairly normal childhood and her humble parents were hardworking and ordinary. Her mother (Irina) worked for the Russian army and her father (Valery) was both a builder and a DJ. Let’s find out if her parent’s had any indication as to how deeply her infatuation had affected her at such a young age. From a young age, Valeria took her father’s career choices quite literally. The fact that he was both a builder and a DJ meant that her parents always encouraged her to follow unconventional career path choices. In 2014 she escaped the Russian/Ukrainian war by moving to Mexico which also took her one step closer to her unusual career. Valeria decided that she didn’t want to be like her parents because they lived a hard life and had to struggle with working multiple jobs just to put food on the table. She decided she wanted to do something different and modeling was an obvious choice seeing as she was a very beautiful woman. For many years Valeria still looked like a normal girl and even though she was already beautiful, she hadn’t yet morphed into the splitting image of a Barbie doll. 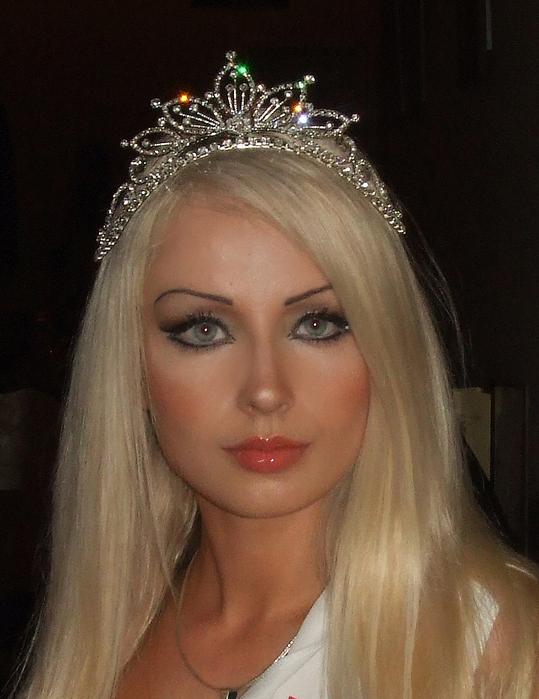 In 2007 having already had minor cosmetic surgery done, she won the Miss Diamond Crown of the World Pageant. Only later her childhood hobby began to manifest into a full-blown fixation. Initially, Valeria denied ever having gone through cosmetic procedures but later she admits that she first began with breast implants and then later moved on to other enhancements that gradually brought her closer to her ideal image. At first, Valeria had claimed that her body shape and uncommonly tiny waist was due to good genes and a strict diet, but as more changes began to take place it was hard to hide the fact that she had gone through multiple major surgeries to reach her current bodily proportions. Critics have pointed out that when she wears a bikini it is easy to see that her waist is unusually and even unnaturally petite, especially for such a tall girl and girls that thin will often have very visible ribs. It has been suggested that Valeria had many of her ribs surgically removed so that she can engineer a body shape similar to that of a Barbie doll. Valarie proudly admits that she eats very little and usually drinks her food in liquid form. She has a very strict exercise regime and does not allow herself to eat for several hours after exercise. 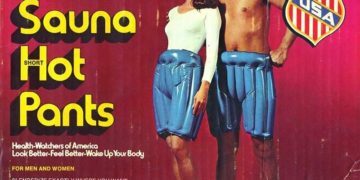 She claims that her extreme measures are justified when it comes to perusing bodily perfection. One of the strangest confessions Valeria has made is that she sometimes starves herself for long periods of time. She calls it her fresh air diet and it literally consists of consuming only fresh are and sunlight, despite the controversy that surrounds the issue of perusing unhealthy habits to achieve dangerous levels of low body fat. Her strict diet of fresh air makes her what she likes to call a “Breatharian”. She prefers to preserve her smooth fair skin by staying out of the sun and admits that she only goes to beaches for show or if she is doing a photo shoot. For a long time, Valeria denounced all claims that she had undergone many surgical procedures to look the way she does now. Eventually, she let slip that she had, in fact, had a breast augmentation, but still stands by her claim that most of her features are naturally shaped as perfectly as a Barbie doll. 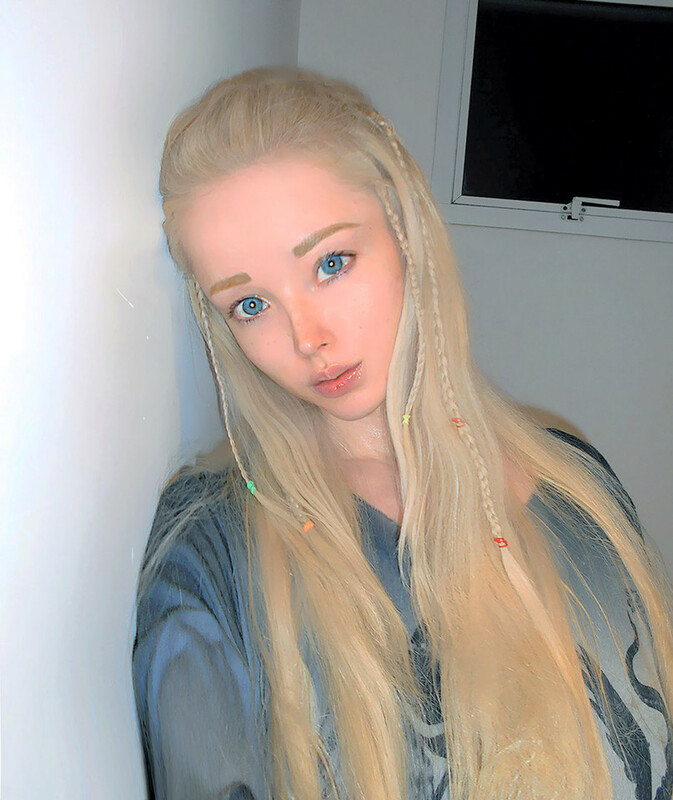 Surprisingly the human Barbie has a sister who shares her full lips and pale skin but differs in many ways. Her hair and eyes are dark and she likes to smile once in a while. Valerie prefers a vacant plastic expression to preserve her wrinkle-free complexion. Olga (her sister) says that for a while, she used to envy her sister’s looks and often tried to emulate her. Eventually, she realized that the identity of a Barbie doll was not for her, because it required very tough lifestyle changes on her behalf. She decided to ditch the blonde hair and follow her own path and develop an identity that felt more genuine to her. Her sister Olga says that she does not see her sister as a Barbie doll who has to look perfect all the time and doesn’t even like the word. To her, the word “Barbie” refers to a girl who is not very intelligent. She doesn’t try to look like her sister anymore, but sees her as an example. Even though the generally accepted notion is that nothing is perfect and even nature has its flaws, Valera believes that perfection is an ongoing process that one should always strive towards. This philosophy allows her to have no limitations on the road to perfection and she will continue to make even more changes. 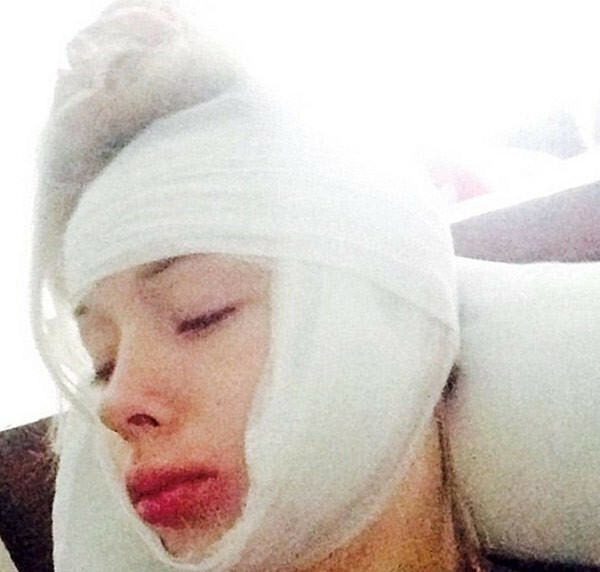 Being known as the human Barbie hasn’t been easy for Valeria. She finds that many people forget her human aspects and see her as an object rather than a person. Barbie has for many years been seen as a symbol for the objectification of women and Valeria has had her fair share of haters too. 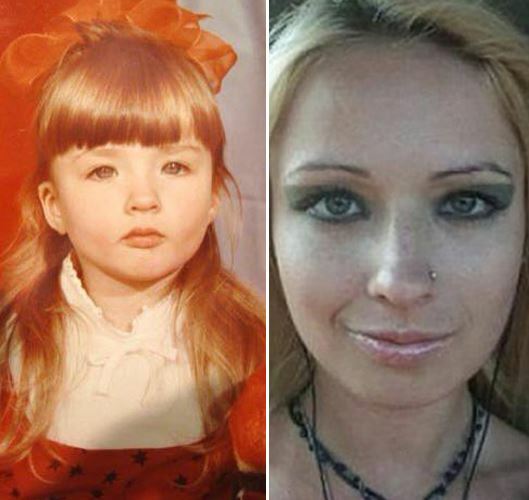 In 2014 Valeria was attacked outside her home in Odessa on Halloween. The assaulters punched and strangled her until a neighbor stopped their abuse. This is only one of the many physical threats that she has received and she constantly hears demeaning comments from people who do not approve of her transformation. Being the human embodiment of a plastic toy often comes with the preconception of being fake. After she denied the allegations of lying about the authenticity of her flawless body, people began taking a stab at her character. She was accused of being phony and detested for supporting the premise of a universal icon that is used to shame many women about their natural body shapes. It’s no surprise that Valeria quickly became famous for her look and the media was hungry to make their own assertions. She noticed that the media prefer to focus on negative aspects of a person because scandalous news always sells more magazines. From her experiences, she has learned to be tougher and take everything with a pinch of salt. The Internet can be a dangerous place where people can anonymously post hurtful comments. Valeria often receives criticize about her weight and the way she speaks but doesn’t take them to heart, because she knows that they are merely attacks from people who take their opinions too far by being unkind. At times Valeria referred to herself as an energy vampire who feeds off the positive and negative energy when she receives attention from people. In a video, she attempted to prove that her ribs were all real and intact but some people still remain skeptical. She is all about forgiveness and refuses to waste time retaliating on people who put her down. Valeria has no problem standing up for herself but insists that she has forgiven all those who have despised her in the past and she wishes them well. She asserts that they would all be so much happier if they focused on themselves instead of on her. During her teenage years, Valeria went through a dark phase which was completely in contrast to what her image is now. 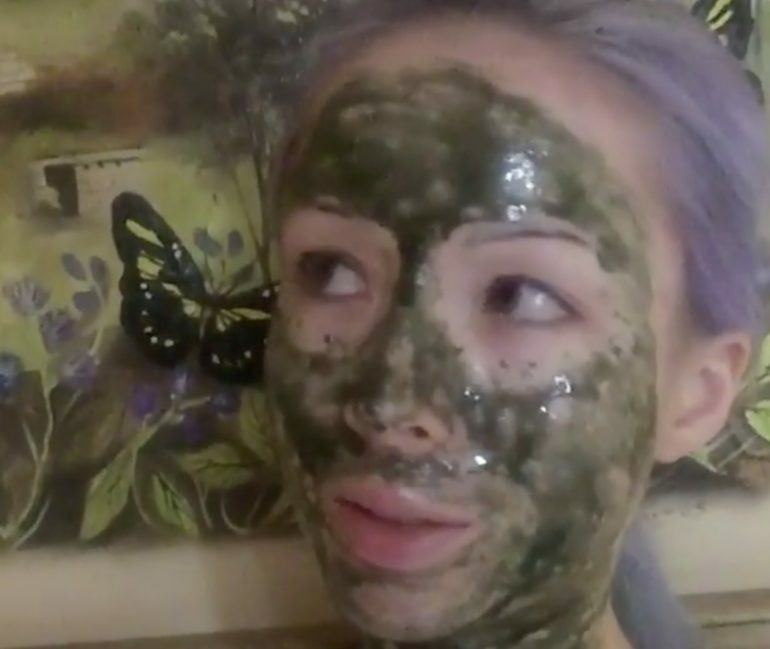 It was an earlier attempt at discovering her identity by experimenting with another subculture. In those days she wanted to be a witch and we can all agree that being a living Barbie doesn’t sound so bad now after that. In actual fact, Valeria has not completely abandoned her past in witchcraft. She still occasionally practices and considers herself to be very spiritual. At first glance, she certainly looks different from other women but Valeria has even claimed that she is from another world, sent here to teach mankind a valuable lesson. Valeria goes even further to insist that she comes from Venus and has psychic abilities that allow her to see visions like auras and swirling spirals. It is also reported that when she was a little girl, her mother would draw a chalk circle around her bed as if to separate her from the rest of the mortal world. Valeria shares her life with her loving husband Dmitry who is quite outdoorsy businessman. He has climbed many mountains including Mount Elbrus and together they visited Mount Everest and even the Himalayan mountain range in Nepal. Dmitry supports Valeria’s choices (even the quirky ones) and loves her with and without makeup. Many people believe that they have a hyperawareness of their surroundings and Valeria is one of them. She recalls an alarming tale from her childhood where she remembers figures and shapes dancing around her as if they were taunting her. One day she used the power of her mind to stop them and since then she has been in control of her psychic abilities and experiences with other dimensions. 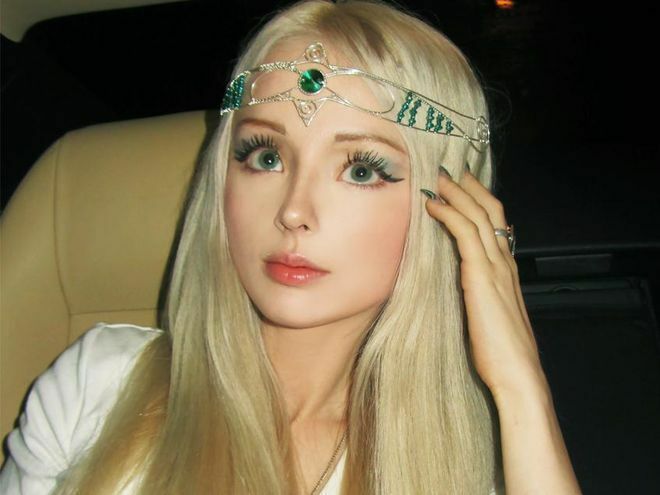 This human Barbie has a very deep spiritual aspect to her life and believes that she can help many people to learn to connect with their inner self. She says that she doesn’t need food or drink to survive and the reason that she strives so hard to create a perfect external image is that she would like it to match the spiritual perfection that she feels on the inside. One of Valeria’s achievements is a book that she wrote on Astral Projection in 2012. In the book, she describes how one can control one’s sleep by projecting your mind outwards and traveling to different dimensions and planes of existence. This book is apparently based on her extensive experience with the spiritual world. Psychic Barbie believes that there is much more to the world than meets the eye and it is possible to discover all of its many veiled secrets and rip open the very fabric of the universe. Valeria believes that she can teach these skills to people so that they can try it out for themselves in the comfort of their own homes. Valeria has taken her makeup artistry to the next level by claiming that by accentuating different features, she can turn herself into someone new on the inside. That casts a shadow of doubt on her previous assertion that she is true to herself and not fake. Skeptics still chalk it up to mental instability or eccentricities brought on by her isolation from the rest of the world. This uncommon lady is usually quite confident about coloring outside the lines when it comes to norms and social conventions, but on occasion, even she can doubt herself. Valeria has consulted a psychiatrist several times and has been met with kindness and sympathy. A woman of her unconventional mind is considered healthy and she is perusing solutions that do not require medication. One must question the credentials of her shrink when he too professes to be well trained in the psychic arts. He believes that her visions are nothing to worry about and are instead an indication that she has a sensitive psychic gift. Valeria decided to develop this newly discovered gift and has surrounded herself with friends and fans who share the same interests. In an interview with GQ, Valerie states that plastic surgery is becoming more common because in recent years there have been more mixing of the races. She insinuates that mixed race people are more likely to have plastic surgery to cover their unsightly ethnic features and aspire to look more like Barbie with finer Caucasian features like Western Culture dictates. Barbie has met her match when it comes to beauty. This guy strives to look just like a Ken doll and confesses to enduring at least 190 surgical procedures to look like he does now. He criticises his counterpart, by saying that she looks like a drag queen with the fake hair and too much makeup. One can only wonder which parts of him are fake. Most people would look at Valeria and experience a sight that is both unnatural and uncomfortable to look at, but some young girls see her as a role model and aspire to be just like her. 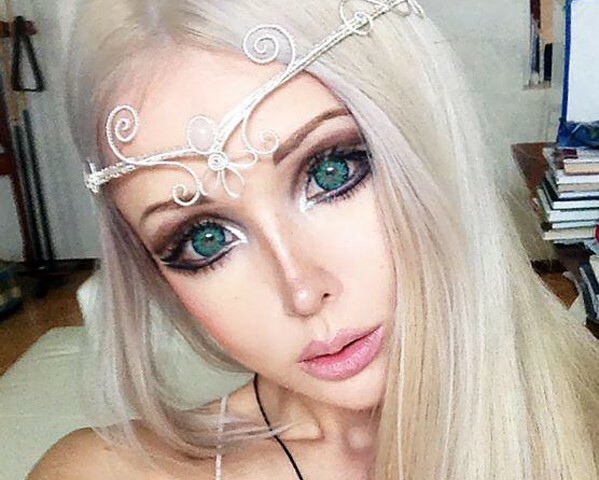 On YouTube, you can find countless makeup tutorials about how to apply makeup in a doll-like fashion. Here she poses with one of her biggest fans. In 2016 Valeria took to the screens of Hollywood and played the role of a doll in the sci-fi movie entitled “The Doll”. Her character was a bloodthirsty alien doll and Susannah O’Brien, the director, praised the way she embraced the character. It seems like that part was meant to be hers, but she also clearly cannot avoid being typecast in future movies. Although she denies having cosmetic surgery in the past, she admitted to a fan that she wouldn’t object to having surgery done in the future as she grows older. As she ages it will become harder and harder to maintain her flawless Barbie persona. Eventually, she will have to face the fact that she is only human like the rest of us. 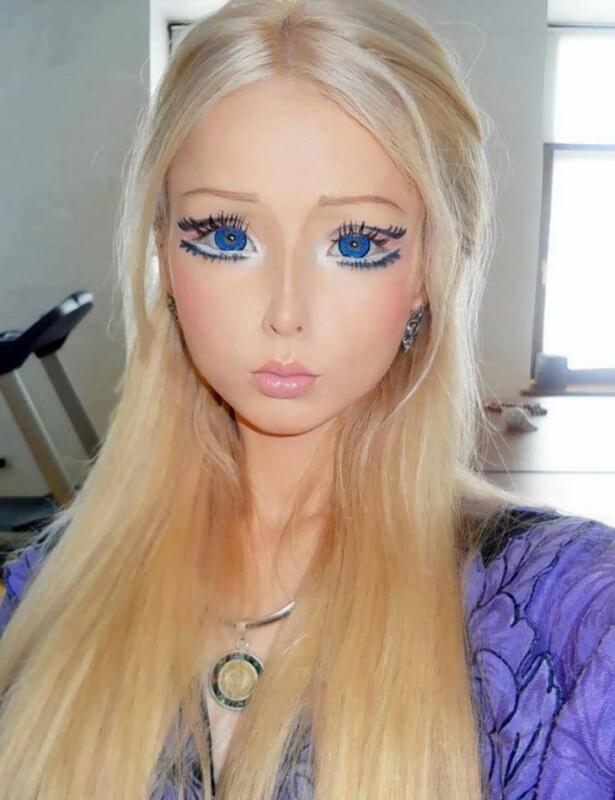 There could be more changes on the horizon for human Barbie. After spending a fortune and much time on perfecting the perfect Barbie body, she has decided that she would like to bulk up by working on her abs and becoming more muscularly toned. Could this be the first sign that she is moving on to her next identity crisis? 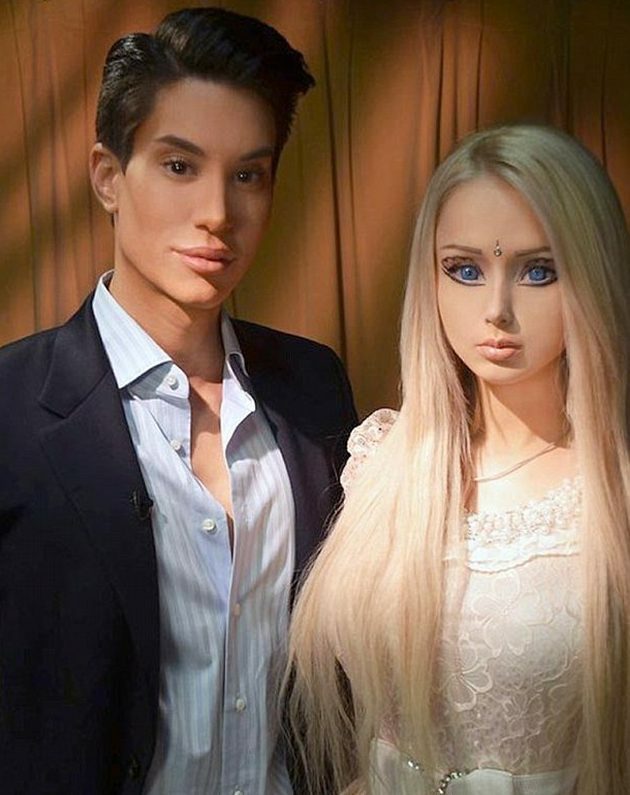 What’s Next For The Human Barbie? When asked about her future, Valeria paints a picture of a very ambitious woman with many dreams she still wishes to achieve. She will continue to provide spiritual guidance to the world and will strive to be a positive role model for her fans. In addition, you can keep an eye out for her upcoming opera composed entirely out of soft new age melodies. Today Valeria continues to retain a whimsical outlook on life and is grateful to her mother for her symmetrical genes and constant support. She maintains a rich inner spiritual life and says that beauty alone can’t bring real success in life. Her philosophy: Tangible results come from spiritual work and women should be confident when exploring their identity, no matter what planet they’re from.